U.S. Patent No. D622787, 7931570, other patents pending. Learn how Center of Balance implemented a very successful CoreAlign program at their studio. At Alpine Physical Therapy, the CoreAlign is revolutionizing rehabilitation. 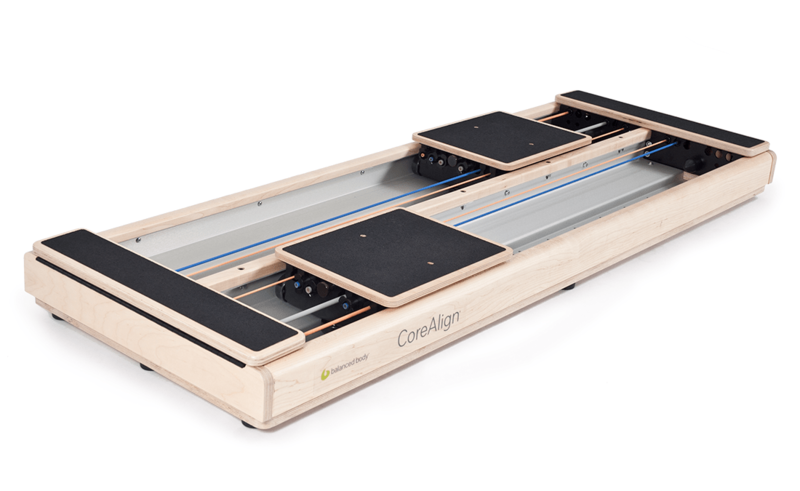 See how the CoreAlign changed the business model for EHS Pilates. An article from Jonathan Hoffman, inventor of the CoreAlign, on his movement theories and how they relate to Pilates and CoreAlign: Expanding Panjabi’s stability model to express movement: A theoretical model. 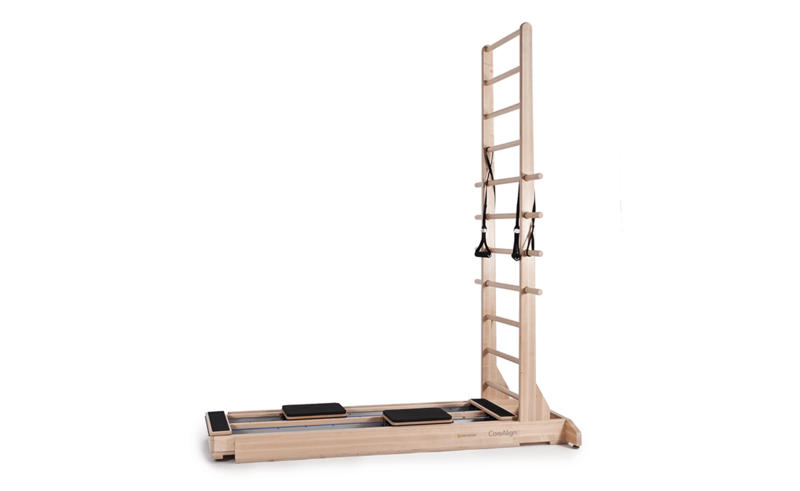 Purchase the CoreAlign with our add-on CoreAlign ladder, or provide your own ladder. Streaming workout videos available that guide you through a Beginning Level, full-body workout (22 minutes). If you buy the CoreAlign + Ladder package, you save $300. 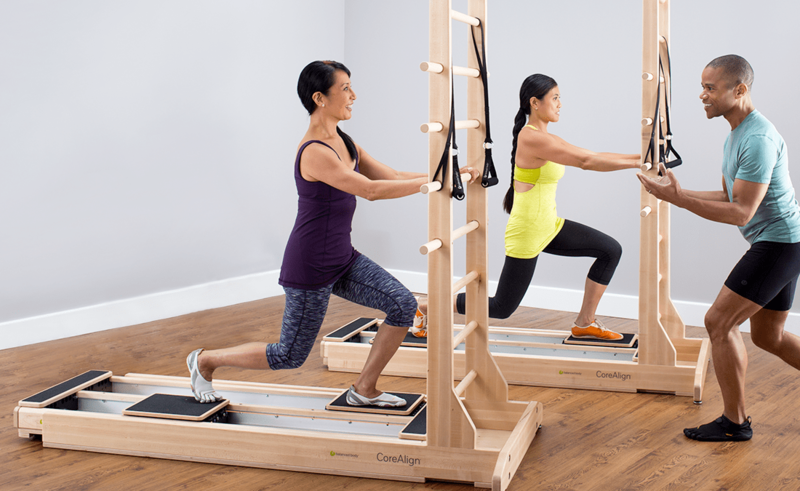 Balanced Body offers CoreAlign training, strongly recommended for professionals with a prior background in Pilates, physical therapy or personal training. Add instability to train the body in new ways. Two sizes, 3 resistances. Having space issues for your CoreAlign?